Walt Disney Pictures has found a helmer for it’s upcoming live-action take on Mulan. According to a story today at The Hollywood Reporter, Whale Rider and McFarland, USA director Niki Caro will be taking on the project. Mulan now marks what is only the second time a female director has taken on a project budgeted higher than $100 million at The Walt Disney Studios. In the studio’s first film to hit that budget, Selma‘s Ava DuVernay is taking on Disney’s adaptation of Madeleine L’Engle‘s A Wrinkle in Time. That project is now filming and targeting an April 6, 2018 release. The animated Mulan, released by Disney in 1998, adapted the ancient Chinese legend of Hua Mulan, a female warrior who disguises herself as a man in order to take the place of her aging father in the military. Today’s trade report also brings the news that Bill Kong, who has produced martial arts epics like Crouching Tiger, Hidden Dragon and House of Flying Daggers, has joined Mulan as executive producer. It is also noted in the original article that Niki Caro was a talent being looked at to take on Marvel Studios‘ Captain Marvel but that her schedule on Mulan will almost certainly preclude that possibility. Captain Marvel, set to star Brie Larson in the title role, is targeting a March 8, 2019 release. Lauren Hynek and Elizabeth Martin provided the initial screenplay for Mulan, which has since been rewritten by Rick Jaffa and Amanda Silver. 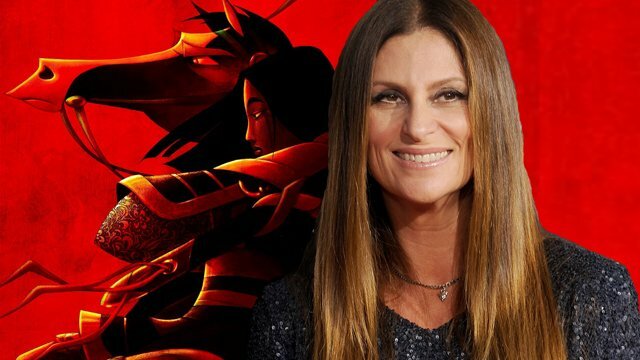 What do you think of Niki Caro as the Mulan director? What stars would you like to see cast in the film? Let us know your thoughts in the comments below!